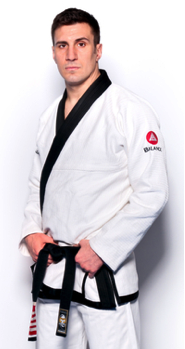 Phil “Jiu-Jitsu Matrix” Migliarese III is a 5th degree Relson Gracie Brazilian Jiu-Jitsu Black Belt with over 20+ years of experience in BJJ, Muay Thai Kickboxing, and Mixed Martial Arts. A Gracie Worlds and National Champion, Phil is a trainer, training partner and coach to UFC and MMA fighters as well as World and Pan-Am Champions. Phil is also a Master Level Yoga Instructor, author/creator of Yoga For Fighters and has many years of training in Judo. During the 1990′s, Phil did an extensive teacher training at three different Gracie Academies: California, Hawaii and Brazil. 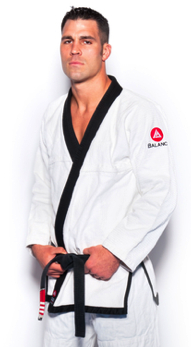 He trained under Grand Master Helio Gracie, Master Relson Gracie, and UFC legend, Royce Gracie. He is the founder of Jiu-Jitsu Share Online Community , Jiu-Jitsu Matrix (a video newsletter and online learning community) and one of the co-founders/co-owners of Matrix Fights Promotion Company . He currently lives in Philadelphia, PA where he teaches at Balance Studios which he co-owns with his brother, Ricardo Migliarese. Phil is the Head of Team Balance International. A World and Pan-Am Champion, Rick is a trainer, training partner and coach to UFC and MMA fighters as well as other World and Pan-Am Champions. He currently lives in Philadelphia, PA where he teaches at Balance Studios which he co-owns with his brother, Phil Migliarese. Rick is also one of the co-founders/co-owners of Matrix Fights Promotion Company. Rick joined his brother Phil at the Gracie Academy in California in the late 90′s to train with Grand Master Helio Gracie, the source of Gracie Jiu-Jitsu.